For a little while, Sugar Mountain disappeared from us. Formally calling Forum Theatre home, the festival made a comeback this year, this time at the Victorian College of the Arts (VCA). I can't pick a better venue and new home for the festival that celebrates all things visual arts and killer music. 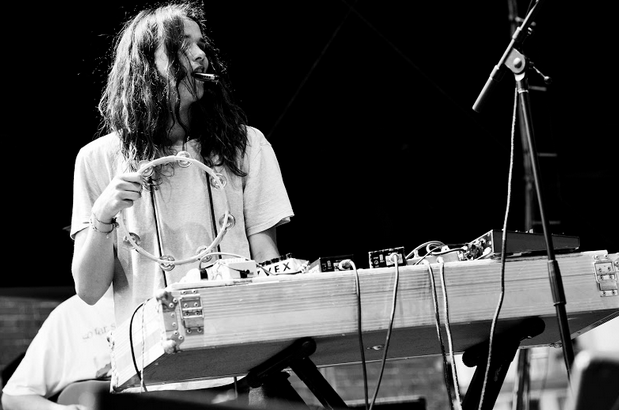 Local favourites King Gizzard & the Wizard Lizard kicked things off on the Dodd Street stage. The sun was shining as the crowd got their groove on to such tracks as 'Cellophane' and 'Hot Wax'. 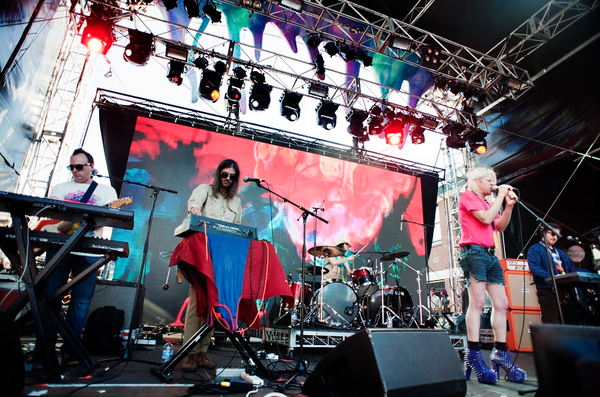 Along with the Dodd Street stage, there was a set up in the carpark featuring acts such as Melbourne's very own Chela, and electronic/chillwave gods ODESZA. The theatre was also pumping with Rat & Co and Midnight Juggernauts created some serious waves in there. The Boiler Room was boiling in the literal sense due to the sun. If I had to pick on something the festival could improve on it would be creating a Boiler Room that is undercover. Boiler Rooms at other festivals have always been under marquees, and I think this is what has always separated this kind of stage from being just another stage. The eccentric psychedelic pop king Ariel Pink was a highlight of the day. He rocked the Dodd Street stage with such tracks as 'Not Enough Violence', 'Black Ballerina', 'Picture Me Gone' and 'Dayzed Inn Daydreams'. It was Nas though that sent Sugar Mountain on fire. You know that any set that opens up with the lyrics "street's disciple, my raps are trifle/ I shoot slugs from my brain just like a rifle" is going to be nuts. 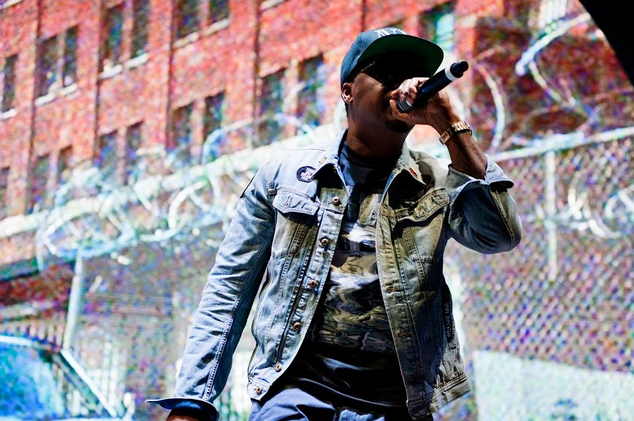 Nas also spoke about his surroundings whilst on stage, he said to the adoring crowd "This is the streets man. This is where hip hop is from". He even took the time to sign vinyl copies of Illmatic for his fans. The visual art set up was also just as impressive and overall added to the artistic ambiance the festival represents. The 5000 fans were not left disappointed with what they were presented with. With diverse sounds, a great atmosphere, distinctive art, a great atmosphere and impressive food, Sugar Mountain organisers brought the goods on Saturday. I can't wait to see the festival grow even more in coming years.